Growth 2019 – What can you expect ? There are many new digital marketing trends and strategies that are evolving in the current high-tech, Internet-connected era and businesses now need to use them to succeed in their efforts because what worked for you last year may not work this year. These are 5 Trends i feel will be a major game changer in 2019 and one must keep an eye out for them. After Observing several campaigns over the past year and talking to several marketing professionals one thing is clear, 2018 saw the decline of SEO, Text-Based Ads and even Blogs and we saw a rise in Picture based Campaigns where the focus became the aesthetics and visual appeal over just 10 words dropped on your screen. Instagram expanded its base becoming one of the most used platforms for newer audience shifting the entire appeal to visuals. Towards the last quarter, we saw a rise in video bases stories and posts gaining strong traction as the new algorithm gave more light to video-based content over pictures even. Influencer marketing is a type of word-of-mouth marketing that focuses on using key leaders to drive your brand’s message to the larger market. Rather than marketing directly to a large group of consumers, you instead pay influencers to get out the word for you. Collaborating with influencers to reinforce your customer acquisition strategy is probably the most cost-effective way of gaining new customers. If influencers are genuine, authentic and creative, they can easily establish a connection with your prospects. But make sure to find relevant influencers in your niche for the success of your campaign. Monitor your campaigns, as this can help you understand what’s working and what’s not and, if needed, make changes accordingly. You must also track the traffic and conversions generated from your influencers’ content. This is your best growth hack for 2019 ! use it well and you are in the big league. Google Think Team came up with the concept of micro moments in 2018 and 2019 could be the year where Micro Moment Marketing becomes a thing. What is a Micro Moment ? Its the time we spend on phone travelling, in between beers, in between coffee, movies, standing in line etc. Those 2-3 minute of specific search, browsing we bookmark for future is the example of a Micro Moment. We have over 150 Million Mobile phone users in India, and over the last year number of times they use their device to go online has increased by 28%. Thats 28% more searches and social media time, means 28% more scope to be visible in the micro moment. Not long ago, marketers primarily targeted their message to particular demographics, based on who we thought would be most interested in our products. Today, what matters most isn’t just who our consumers are, but also what they’re looking for in any given moment. From demography we shift the focus to our consumer’s intent. Focus on 360Degree Visibility, be there for the costumer in whatever way possible, have useful information segregated for instant engagement and be quick, Your mobile experience has to be fast and friction-less and you must serve the dish hot. 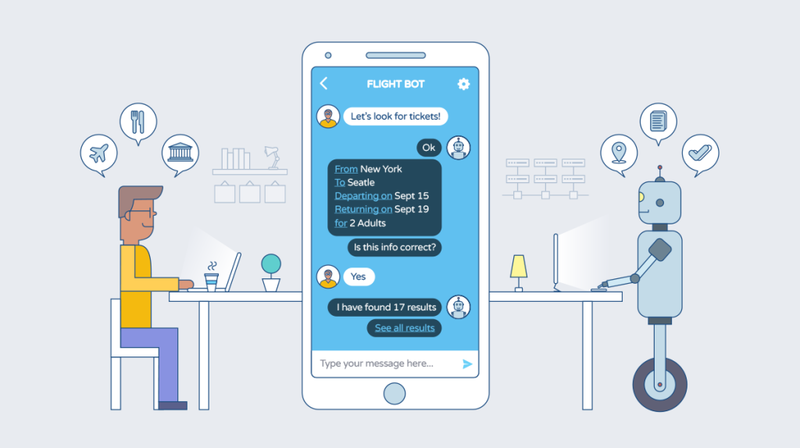 With the improvement in artificial intelligence in last 3 years, chatbots have potential to hold a basic conversation with visitors and answer most-asked questions like a live human customer support representative would, this further with the data can be a huge inbound marketing tool in 2019, with whatsapp business API, Facebook Messenger among others are now offering direct multi platform chat for your product. Many customers prefer interacting with chatbots as they are responsive, give answers promptly, accurately recall your entire buying history, and never lose patience. These virtual assistants offer outstanding customer service, meeting customers’ expectations and automating repetitive tasks with a personalized touch. What else do you need. Millennials or GenZ are all about authentic, real and genuine content, gone are the times of adverts, telethons and posters, the current era is about reviews, feedback, testimonials and its authenticity. They want to know where the product is made, who is using it, do they like it ? why do they like it ? what is its shortcomings ? and more, the curiosity never ends. The last part of any costumer life cycle is evangelism, its about making your costumer into a organic promoter. ( mind you its not him being an affiliate or an influencer ) Having that space built into the product which gives costumer the ability to share his joy of using the product thus attracting more people organically and creating a web of costumers. Focus on identifying and building an evangelist into your costumer. MEME’s ! 2018 saw a drastic growth around meme’s and it finding its way into main stream marketing, countless examples of netflix meme’s, PubG meme’s, Movie Meme’s etc all were part of an elaborate marketing strategy around the most versatile and simple form of user generated, interesting, engaging and entertaining content MEME. 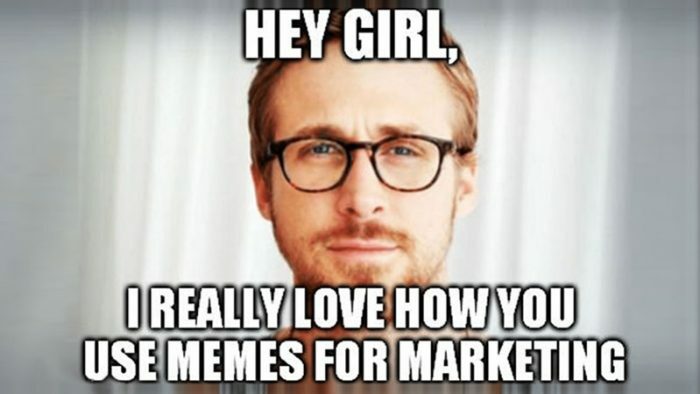 The use of memes is likely to continue to play a key role in marketing especially as the younger generation is less moved by direct marketing and instead is responsive to engaging content that challenges and entertains. 2019 will be about better customer experience with personalization, automation and AI-powered technology, so to stay ahead of the curve and increase conversions in the coming year, you’ll need to get better at producing custom, conversational content – particularly audio and video content – to share with your better-targeted audience. For someone immersed in music, particularly sufi songs, a beard wouldn’t come as a shock, right? I am a poet too. I write what I feel and live for what I love. I find fun in work. From the garden to the frying pan, I’ve tried my hands at all. I want to dip my fingers in ink and sweat and draw rainbows. From a kid who loved gardening to a professional who hones his innate skills, you will find it all here: projects, foodie bytes, poems and snippets from my life. That is Vasishta Chary for you. Welcome to my space! For someone immersed in music, particularly Sufi songs, a beard wouldn’t come as a shock, right? I am a poet too. I write what I feel and live for what I love.